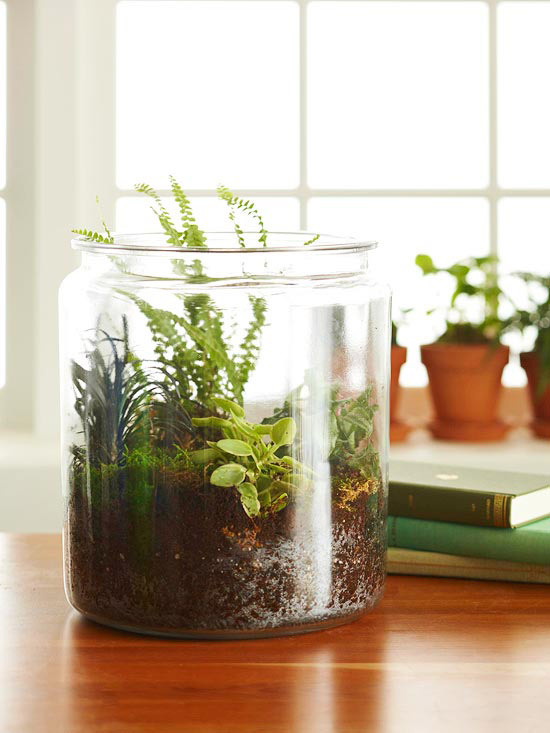 Add a little green to your indoor space with an eye-catching terrarium! Not only are they a great oxygen booster, they're easy to create and can be made in a variety of sizes. Change up the container to fit into any décor. I don't know about that "oxygen-booster" boast but I sure love the glass jar in the photo above.